Separating people from their phones puts additional burdens on those who don’t have attorneys and need information on their phones to support their cases. CHELSEA — Making the justice system more just isn’t always about tectonic shifts. Sometimes, small changes can make a big difference. How small? How about lifting the ban on cellphones in courthouses? At the Chelsea Trial Court, several signs tell visitors they may not bring camera phones inside. But for some in the security line on Tuesday morning, the signs were the first they knew of the ban. A court officer turned them away, directing them to the convenience store across the street, where they could store their phones for $2. One man went willingly, zipping out and back within a couple of minutes. A young woman resisted. “I’m going to be late,” she told the court officer. “I can’t lose this phone.” Mistrustful and upset, she eventually complied. But Sandra Brashier was stuck. She had come to the courthouse to help a friend who had been arrested. Brashier can neither hear nor speak, and depends more heavily on her phone than most. When the court officer pointed to the sign and turned her away, Brashier, 48, looked stricken. She didn’t have $2. She couldn’t find a hiding place outside. She tried a nearby coffee shop. “You can hold my phone till I come in court?” she wrote on a scrap of paper. The clerk thought for a minute, then, with a kind smile, put Brashier’s phone under the counter. Similar scenes unfold daily in 56 court facilities across Massachusetts. Legal advocates say cellphone bans — which exist in some courthouses and not others — get in the way of justice. Separating people from their phones puts additional burdens on those who don’t have attorneys and need information on their phones to support their cases. It also affects those who need to reach employers, baby sitters, and rides as their visits to courthouses drag on. “What seems like an inconvenience is actually a serious barrier to accessing justice for people who don’t have attorneys representing them,” said Jake Hofstetter of the Massachusetts Appleseed Center for Law and Justice, which issued a report on the ban last summer. Cellphones aren’t luxuries but lifelines for the poor and homeless women Katie Bryce serves as a court advocate at Rosie’s Place. “They can be the difference between being safe and not safe,” said Bryce, who has heard court officers advise people to hide their phones in bushes outside when a convenience store check-in isn’t an option. Victims of domestic violence seeking protection may need to show proof of threatening text messages or e-mails. Embattled tenants may keep evidence of rent receipts or problems landlords won’t fix on their phones. Phones store pictures of property damage or injuries. Without them, it’s harder for some vulnerable people to get help. The ban may deter some from seeking it at all. So why do the bans exist in the first place? The reasons are not nefarious, according to research by the Appleseed Center. Some court officials worried that phones could be used to record and intimidate victims, witnesses, and jurors; that they would violate privacy; that they would be disruptive or distracting. But there are ways around these concerns, advocates offer. All courts could provide phone storage, as the federal courthouse does in Boston. They could impose harsher penalties for disruptive phone use during proceedings. 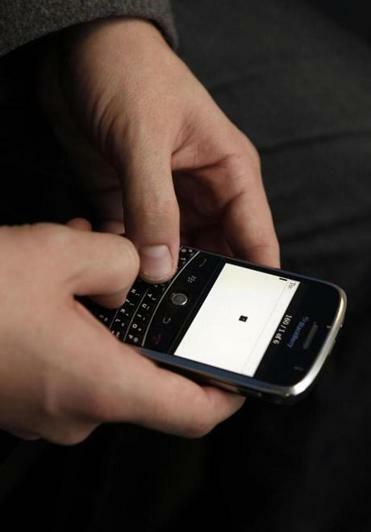 Judges could prohibit cellphones altogether in sensitive cases. What we need is a better balance between the integrity of courthouses and the needs of those for whom use of a phone can be critical. The good news is, those who lead the court system in this state seem to understand the problem, and are working on fixing it. Would changing the cellphone policy keep the scales of justice from tilting against vulnerable people? Of course not. But for some, it would make a world of difference. Sometimes, revolutions come small. This one will fit in your pocket.